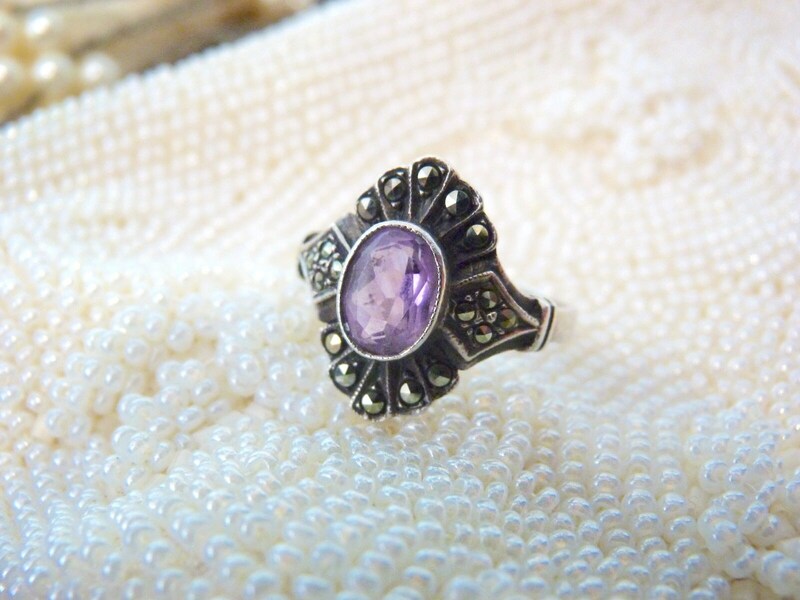 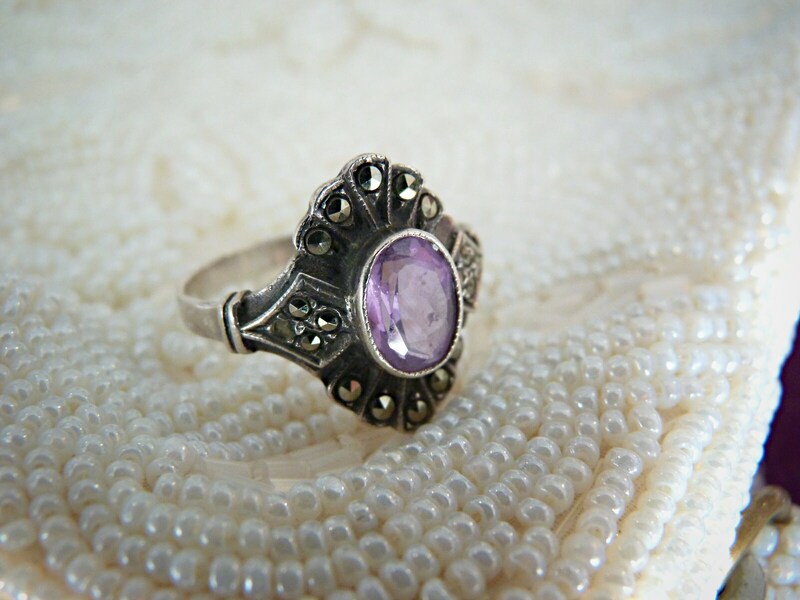 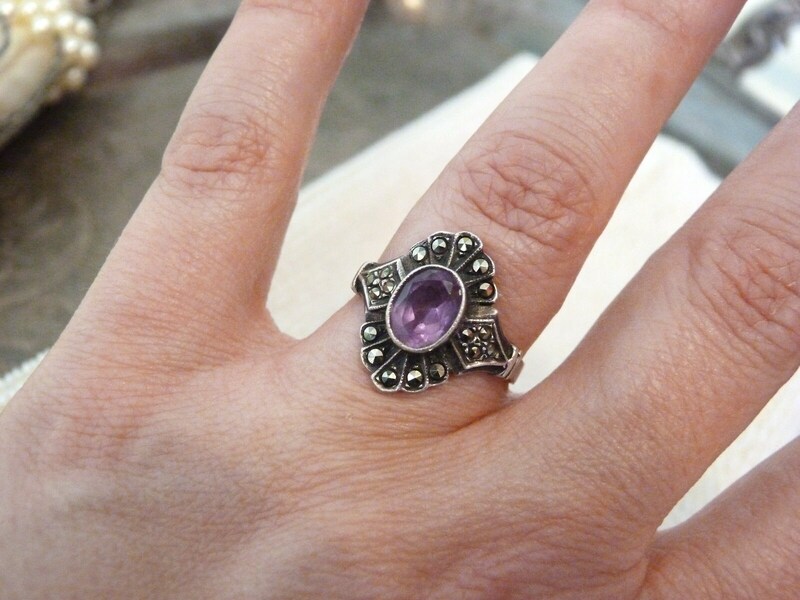 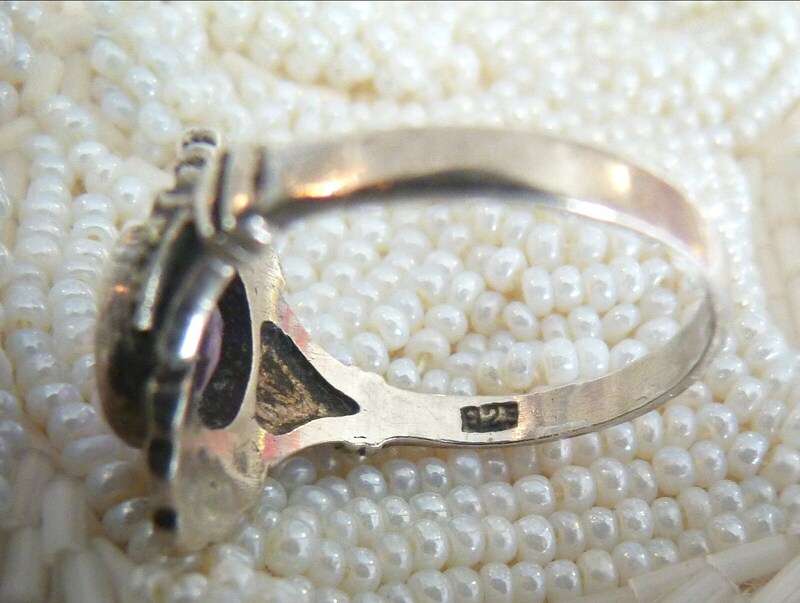 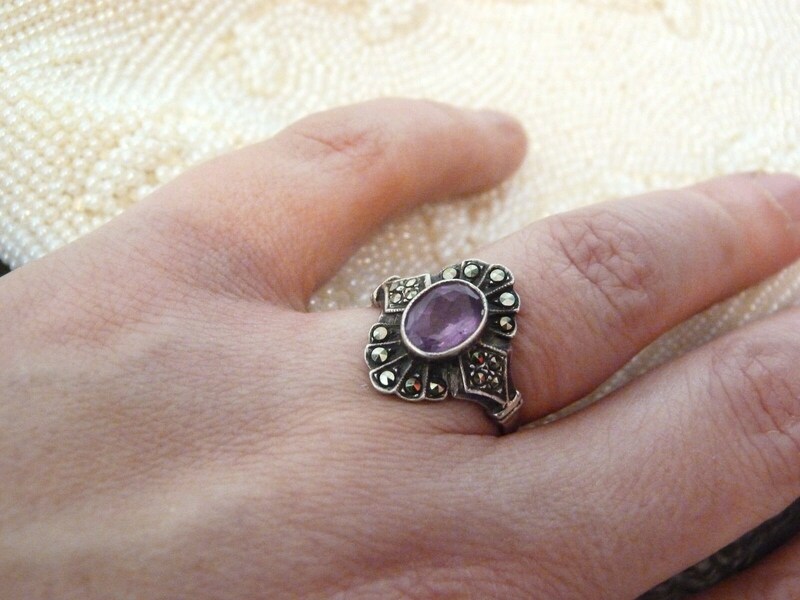 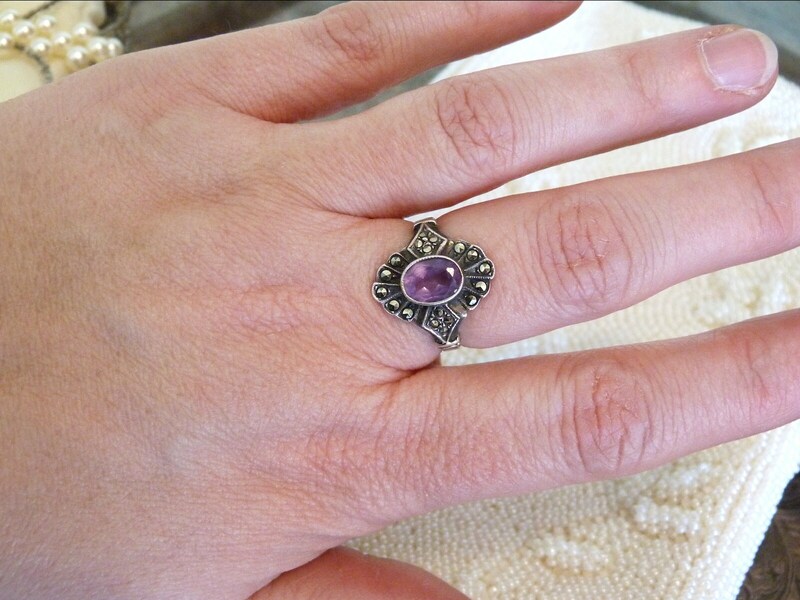 Gorgeous sterling silver ring adorned with an ovale amethyst in the middle and 18 marcassites all around it. 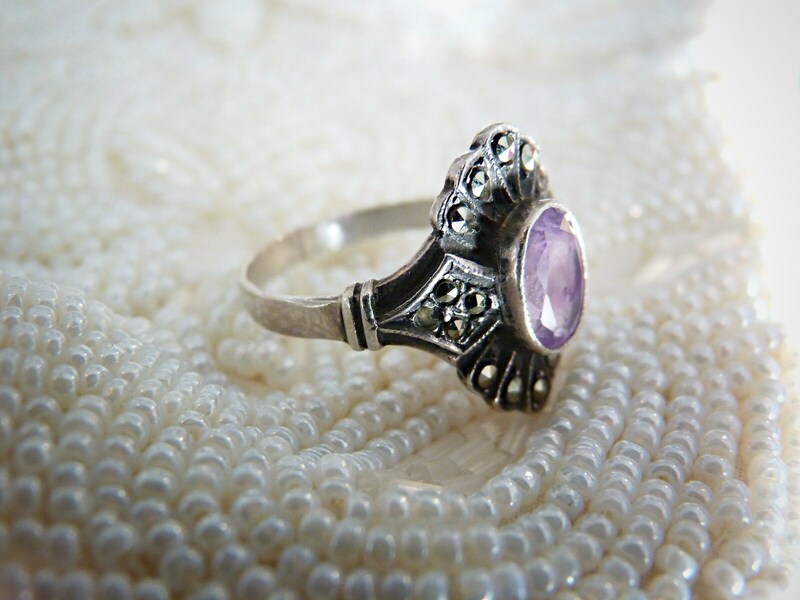 Beautiful scalloped shape, feminine and delicate, with a lovely patina. 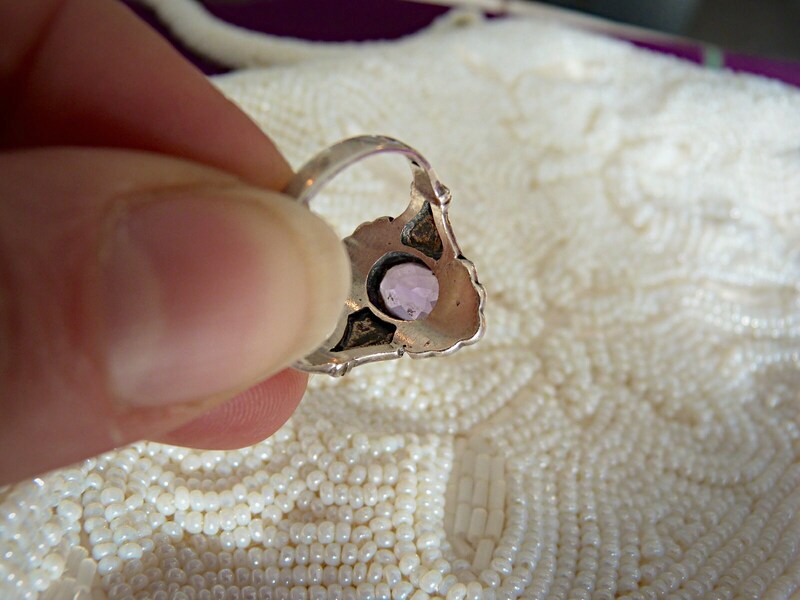 925 mark. 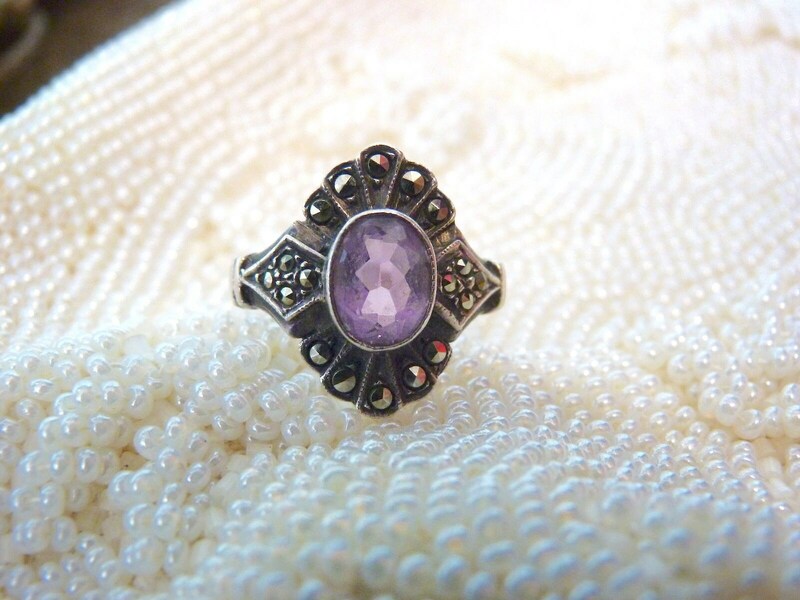 Victorian style but no marker mark to identify the time period. 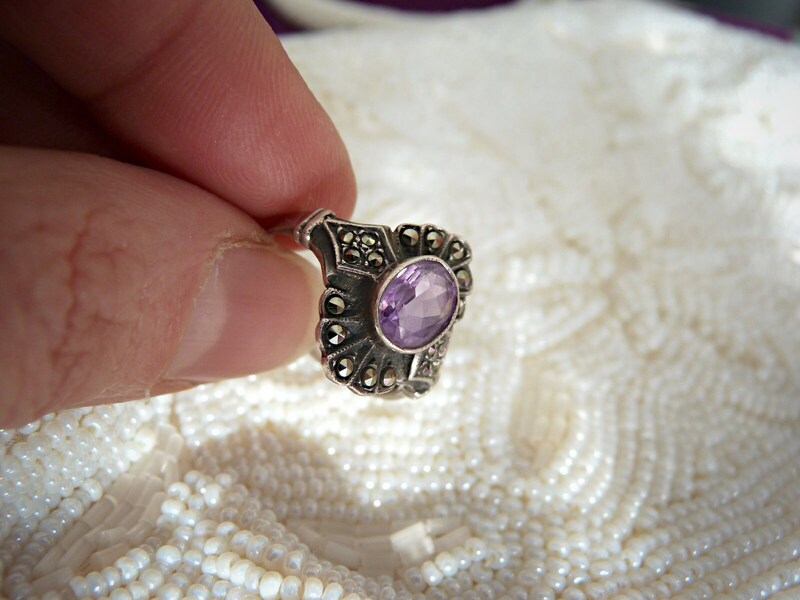 A beautiful piece of jewelry you won't find in the shops anymore!